← Last chance to submit your Crosspool photos for the 2018 calendar! 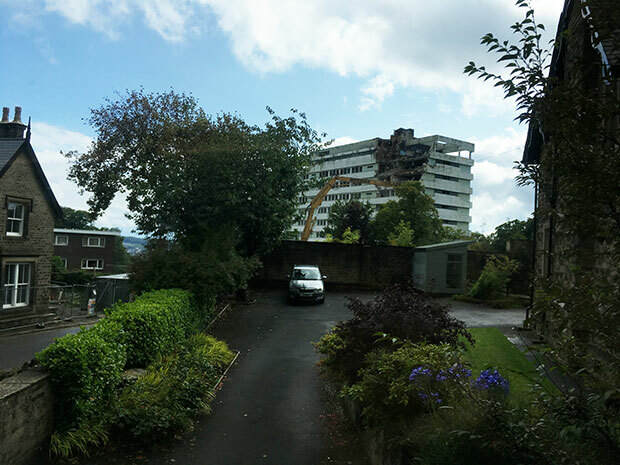 The demolition of the former Hallam Tower hotel on Manchester Road has started. Planning permission for luxury apartments was previously granted. This entry was posted in businesses, crosspool, history and tagged blenheim group, demolition, hallam tower hotel. Bookmark the permalink.